Statewide Poetry Contest Winners Announced! Please join us for the Literary Reading to hear the winning poems this Saturday April 11, 2015 at 7 pm in the Bear Gallery, Pioneer Park Alaska Centennial Center for the Arts, 2300 Airport Rd. All contest entrants are welcome to come and read their poems. Just RSVP to Carey at 456-6485 ext. 227 or carey@fairbanksarts.org. 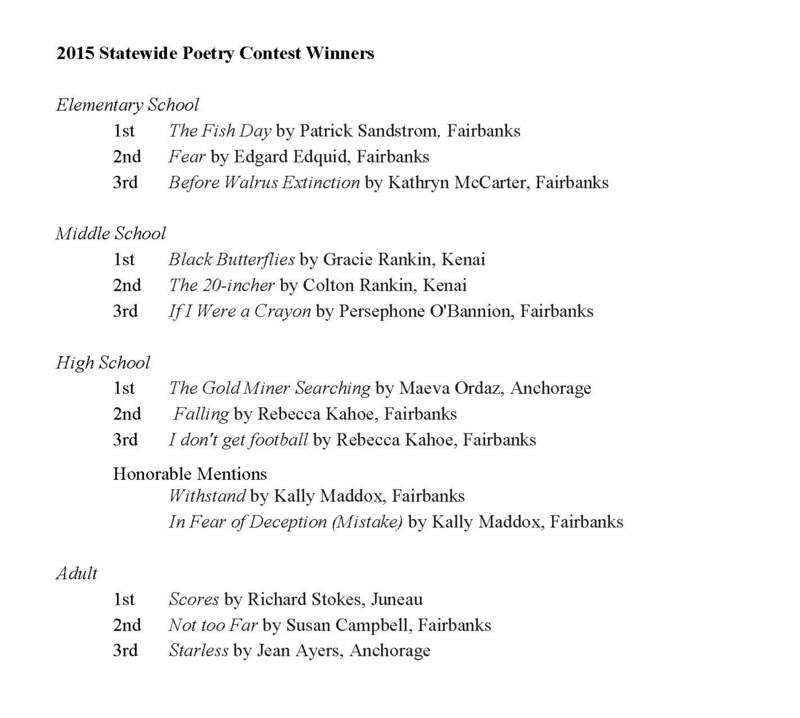 Next Statewide Poetry Contest Winners Literary Reading Saturday April 11, 2015!